Since 2005, when we first began the Adopt A Swan program, donors have contributed $10,324 to benefit Trumpeter Swans in Washington State, where lead poisoning has sickened and killed over 2,500 swans. A list of these generous people, including a several wonderful grade school classes, can be found on our website. 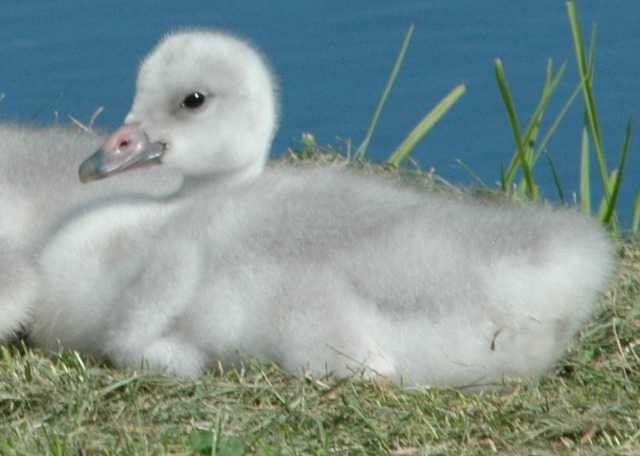 Every dollar raised through this program goes to benefit the swans through our Lead Poisoning Crisis Response Program. Since 2005, $8,562 of the donations have been used for: hazing swans away from areas where there is high danger of lead poisoning ($3,000); supplies and mileage expenses for monitoring of swans and pick up of injured and dead swans ($2,943); trailer rental for hazing and monitoring crew ($1,004); satellite transmitter data from radio marked swans ($1,000); and swan rehabilitation and necropsies ($615). We currently have $1,762 carry over in the fund to help us fund next winter’s work. Lead poisoning has a terrible impact on many wildlife species —Trumpeter Swans are particularly vulnerable. We thank all those who have supported this program. By becoming a supporter and help us reduce these needless deaths and suffering. If you live in one of twenty states you could be FIRST in your state to Adopt a Swan! This exciting program funds TTSS’s fight against LEAD. Right now the program is focused in well-organized efforts in Washington State, but with your help we may be able to expand our efforts. The list of donors on our site, from 32 states and 1 province, is impressive. You can be on that list. If you live in AZ, AR, DE, HI, ID, IN, KY, LA, ME, NE, NV, NM, ND, OH, OK, SC, SD, UT, VT, or WY – why not add YOUR name as well as YOUR STATE! There are donation levels for every budget. Please see our website, or email peg@trumpeterswansociety.org for details. WASHINGTON — Conservation groups expressed dismay today after a decision by the Environmental Protection Agency to deny a petition to ban toxic lead bullets and shot that commonly kill and harm bald eagles, trumpeter swans, endangered California condors and other wildlife. An estimated 10 million to 20 million birds and other animals die each year from lead poisoning in the United States. “The EPA had ample evidence that lead bullets and shot have a devastating effect on America’s wildlife, yet has refused to do anything about it. It’s disappointing to see this country’s top environmental agency simply walk away from the preventable poisoning of birds and other wildlife,” said Darin Schroeder, Vice President for Conservation Advocacy at American Bird Conservancy. On Aug. 3, American Bird Conservancy, Center for Biological Diversity, Association of Avian Veterinarians, Public Employees for Environmental Responsibility, and the hunters’ group Project Gutpile petitioned the EPA to ban lead in bullets and shot for hunting, as well as fishing tackle. The petition referenced nearly 500 peer-reviewed scientific papers illustrating the widespread dangers of lead ammunition and fishing tackle. While the EPA is still considering the petition’s request for the regulation of lead fishing tackle, it denied the petition’s request regarding lead ammunition on the grounds that the Toxic Substances Control Act contains a specific exemption for lead ammunition. “We strongly believe that the EPA has the clear authority and duty to regulate this very harmful and toxic substance as used in bullets and shot, despite the so-called exemption for lead ammunition that is written into TSCA. We had hoped they would take that responsibility seriously but we remain committed to making sure toxic lead is removed from the environment and we’ll redouble our efforts to see that through,” said Adam Keats, senior counsel for the Center for Biological Diversity. Lead is an extremely toxic substance that is dangerous to people and wildlife even at low levels. Exposure can cause a range of health effects, from acute poisoning and death to long-term problems such as reduced reproduction, inhibition of growth and damage to neurological development. Animals are poisoned when they scavenge on carcasses shot and contaminated with lead bullet fragments, or pick up and eat spent lead-shot pellets or lost fishing weights, mistaking them for food or grit. Some animals die a painful death from lead poisoning while others suffer for years from its debilitating effects. The denial was a one page document, citing lack of authority of the EPA to do so. TTSS Executive Director, John Cornely, notes that one aspect positive for Trumpeter Swans is still pending. The EPA has agreed to consider the part of the petition calling for a ban on lead fishing tackle because they do have authority to do that. The mission of The Trumpeter Swan Society (TTSS) is to “Assure the Vitality and Welfare of Wild Trumpeter Swans.” On August 7th, Executive Director John Cornely stated on behalf of the Society, “The Trumpeter Swan Society (TTSS) joins a coalition of conservation organizations, hunting and veterinary groups in support of a formal petition filed August 3rd with the Environmental Protection Agency requesting a ban on the use of toxic lead in hunting ammunition and fishing tackle.” The legal petition supported by TTSS, submitted to the Environmental Protection Agency, is 100 pages in length and 37 of the pages present an impressive list of scientific documentation on lead and its hazards to wildlife and risk to human health. Against this body of scientific knowledge, a spokesperson for the National Shooting Sports Foundation, the trade association for the firearms, ammunition, hunting and shooting sports industry, says, “There is no scientific evidence that the use of traditional ammunition is having an adverse impact on wildlife populations that would require restricting or banning the use of ammunition containing lead beyond current limitations.” Apparently, profits are more important to the National Shooting Sports Foundation than the health of people and wildlife. Swans are among several key species used as evidence in the petition, along with Bald and Golden Eagles, California Condors, other raptors, waterfowl, cranes and rails, corvids, doves and other songbirds. More than 130 species of wildlife are included as having been affected by lead. Foes state that populations are increasing in several of these key species. This does not negate, that, as stated it the petition’s summary comments, in some species thousands, or tens of thousands, die each year in North America. Swan mortality from lead ingestion has been noted as early as 1925. 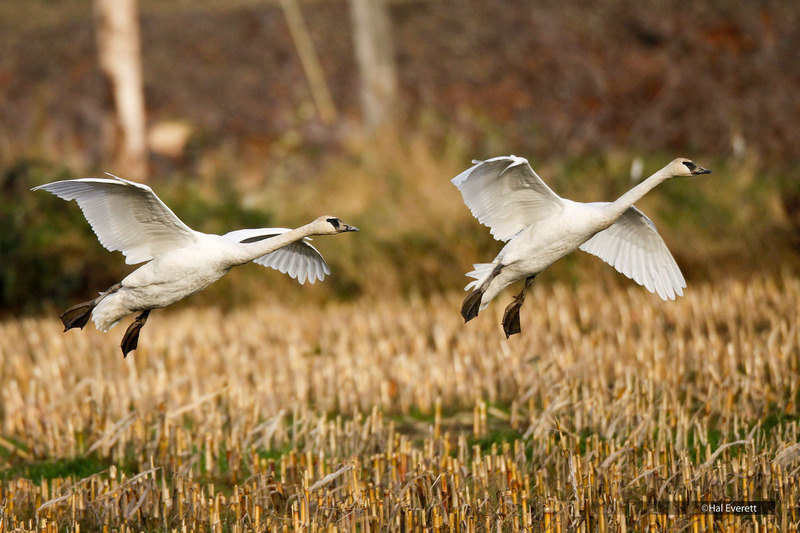 Extensive die-offs of swans in Washington and British Columbia are detailed in the petition and studies that show lead mortality is a problem in efforts to restore Wisconsin Trumpeters are cited as well. “TTSS recognizes that lead is a potent toxic substance and hazardous to wildlife and human health when scattered into our environment. Trumpeter Swans are particularly vulnerable to lead poisoning. In Washington State alone, over 2,500 trumpeters have needlessly suffered and died in recent years after swallowing lead as they fed in fields and wetlands. TTSS urges the rapid end to the use of this toxic substance in all hunting, other shooting activities, and fishing and conversion to the use of alternative non-toxic substances. 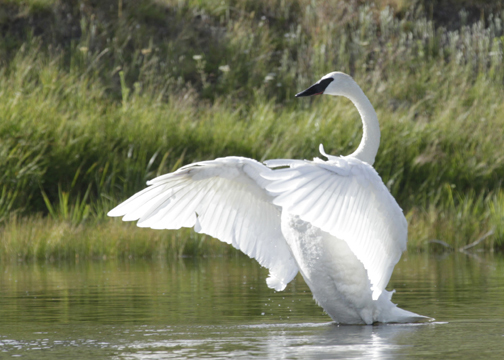 TTSS is a 501(c)(3) conservation organization founded in 1968 and dedicated to the conservation of wild Trumpeter Swans. We have members throughout the U.S. and Canada and our Board and membership include most of the swan experts in North America. Our Board and membership is diverse, including hunters and non-hunters alike. TTSS urges the rapid end to the use of this toxic substance in all hunting, other shooting activities, and fishing and conversion to the use of alternative nontoxic substances. 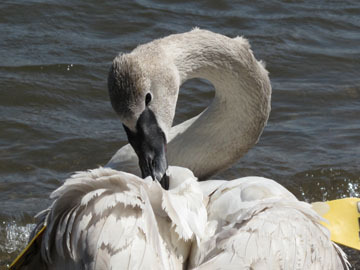 TTSS has posted some detailed and sobering news about lead poisoning in Trumpeter Swans on our website. We note some progress has been made in the last decade, but emphasize that we face numerous challenges ahead if we are to alleviate the threat of this toxin. The first part of the article details strategies being used to cope with lead problems in Washington State. The second part gives excellent background material on causes of lead poisoning, symptoms of lead poisoning, and the real facts on lead shot vs. nontoxic ammunition. We provide a clear-cut list on what you can do to help, outlines existing regulations, and recommend links to other websites for further detail. 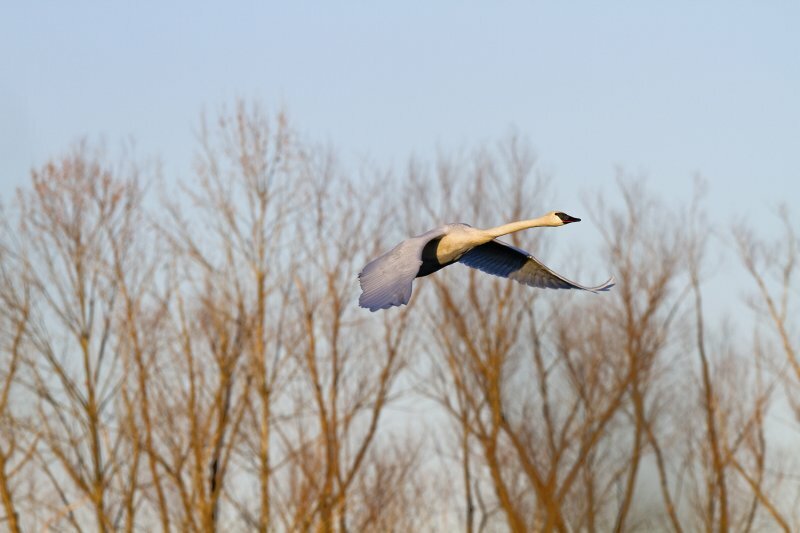 Since 1999, lead shot has killed over 2,300 wintering swans in Washington and British Columbia. TTSS has been working hard with the Canadian Wildlife Service, the Washington Department of Fish and Wildlife, the U. S. Fish and Wildlife Service, other nonprofit organizations, and concerned citizens to find the source of the lead shot, so that it can be cleaned up.